Touche Eclat Le Teint Radiance Awakening Foundation SPF 22 1 oz. The Yves Saint Laurent Beaute makeup collection carries a beautiful selection of products designed to repair, replenish, and lend radiance to your skin. The collection includes a couple of limited-edition and award-winning sets that feature the brand’s best selling products in beautiful gold packaging. From gorgeous lip colors to glossy balms, YSL’s makeup is manufactured with innovative formulas, making them a popular make up staple for celebrities and A-listers. Be it cosmetics that offer ultimate shine or those that soften the texture of the lips, the brand’s products feel luxurious and comfortable on the skin. 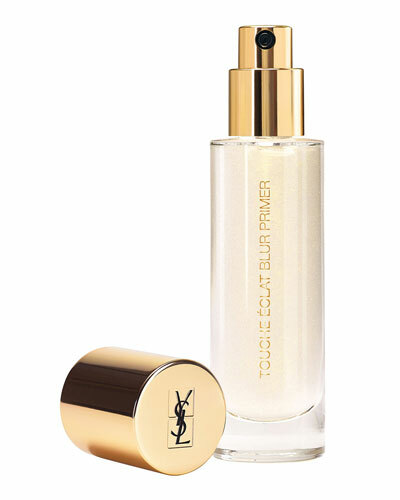 Neiman Marcus offers a great selection of YSL Beaute foundation, makeup sets, and more.